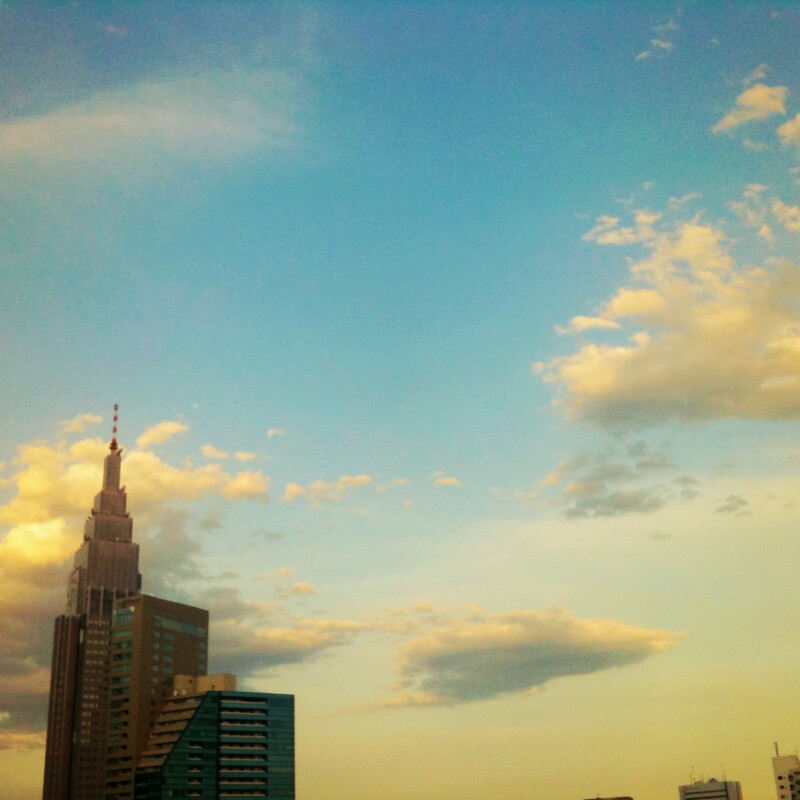 Sky (Sunset) – Where is Naoko? My friend told me last night that I should stop worrying too much about what’s going to happen in 10, 20, or 30 years from now. He said, “Did you know exactly where you were going to be a year ago from now?” — right, you made your point. It was raining when I woke up this morning. But by the time I was at Yoyogi park a little before 8 am, blue sky was peaking through. How do we know what’s going to happen before it actually happens? Don’t over-trust your past experience. Life isn’t as predictable as you may think. there is no time like the present. what we just need to do is to make most out of the present. yeah… it’s easy to forget that and become too anxious about future. It was very refreshing to hear this from a friend with confidence in his belief. Well said. The lack of predictability is what makes things interesting!